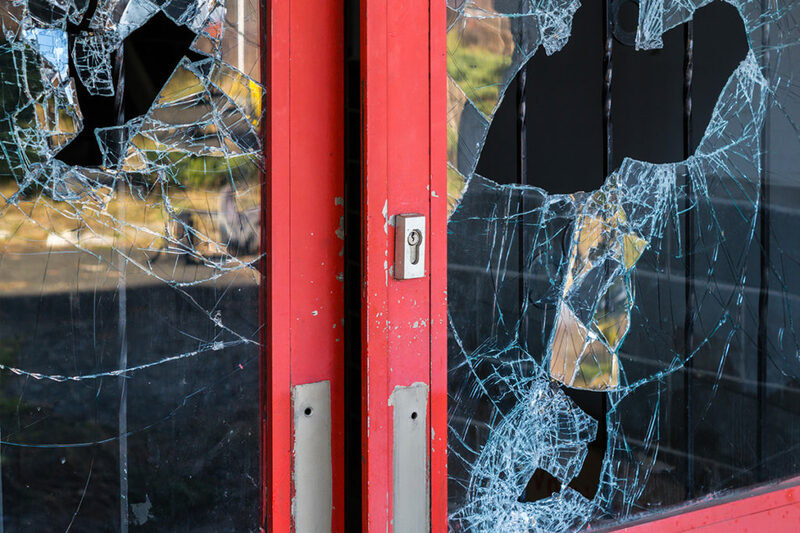 Vandalism Restoration - Lindstrom Cleaning & Construction, Inc.
Damage to your belongings and home may not be as severe as a fire or water loss, but instances of vandalism may be severe and life threatening in any case. The longer you wait for restoration services, the more detrimental the damages can be. Call Lindstrom Cleaning & Construction, Inc. and your insurance company immediately. The faster we can arrive, the less damage you will sustain. Report the incident to the police. They will help gather evidence of the damage to help figure out who the vandals were. If egg was used, make sure you hose down affected items, especially on the exterior of your home and vehicles. Egg can damage the paint of your car, so the more quickly it is removed the better. If damage was on the inside of the home, clean up spilled food or liquids. If valuable glassware was broken, gather all the pieces that you can, your insurance company may want to estimate the size and take pictures. If any of your furniture was damaged, make sure you blot the area if it is cloth, do not wipe. If wood is chipped find those pieces as well, we may be able to restore the broken item.